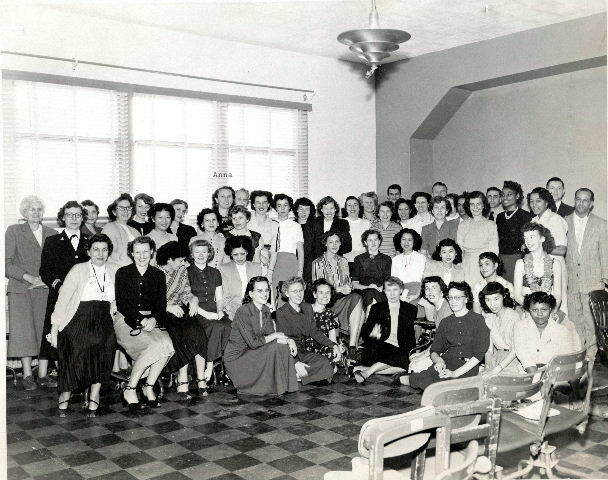 Long before women burned their bras, my Grandma Shellabarger was a working woman. In fact, she worked most of her life. 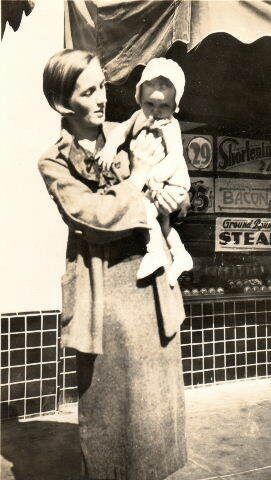 At first it was because her family couldn’t survive during the Depression on the 33 cents an hour my Grandfather made. After their divorce it was necessity. She needed to feed herself and her two children. While she was married to husband number 1 (Joao Pacheco Smith) she did everything from clean houses to sweep floors. This photo was taken around 1936. It was taken in in front of the beauty shop in Salinas where she swept the floors. She was just about to start her work day. She took my Mom with her to work at the beauty shop and when she cleaned houses. She got better pay than my grandfather at 34 1/2 cents an hour which was a contentious issue between them. My grandma never did finish school. She got pregnant in 1928 and had to get married. She was one year shy of graduation. It fascinates me because my grandma was an educated woman none-the-less. She was well read. I remember that she was always reading and doing puzzles. She had a paperback collection of classic books, numerous novels, and Reader’s Digest condensed volumes on her bookshelf. She wrote well and had beautiful penmanship. Somehow in between dropping out of school and getting a divorce, she got the training necessary to hold office jobs. Most likely it was on the job training. You could get a job that way back in the 40s and 50s. I found some documents while going through the family safe deposit box that listed my grandmother’s occupations. It’s a long list! She was never one to let the dust settle under her feet. 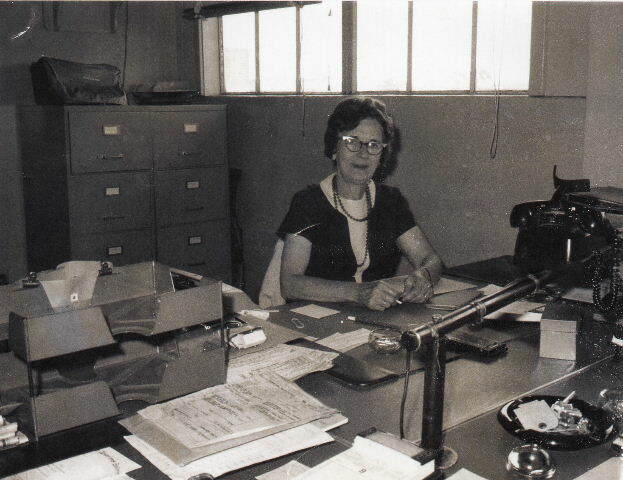 1949-1950 Ediphone Operator and Audit Clerk at Yellow Manufacturing Co. This last photo was taken 9 Jun 1972 and has the note “Receiving Office” on the back. It was taken when Grandma lived in Chula Vista and was working for the Naval Station. Right after this she ended up in the hospital diagnosed with heart troubles. She retired and moved up to Santa Cruz to be closer to us. In 1974, she woke up one night paralyzed in her leg. She was in surgery that night to remove a brain tumor. You can see from her life she was a fighter and she persevered. They gave her 5 years maximum to live after the surgery. Anna (Jackson) Shellabarger died in 2006 at the age of 92. I’d say she proved them wrong! Marie Lassalle Really Was A Hello Girl In The Signal Corp.